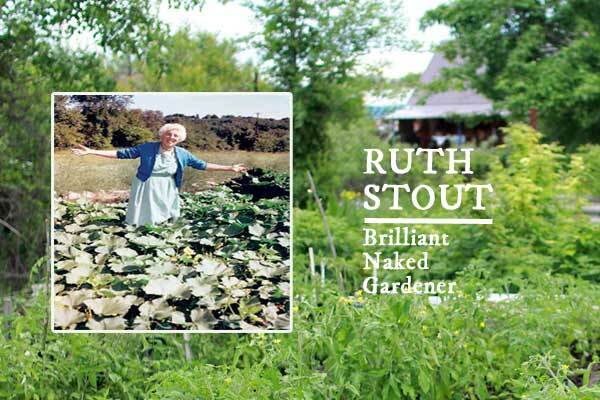 Ruth Stout was an extraordinary gardener, way ahead of her time, who found smart and simple ways to grow an abundance of food crops with minimal effort that is comparable to modern day permaculture methods. 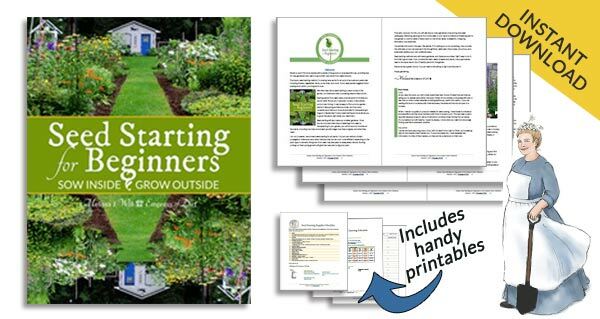 For more, also see these gardening tips. This profile of Ruth Stout (1884-1980) pops up on YouTube every so often and gets ordered down so watch it while you can! 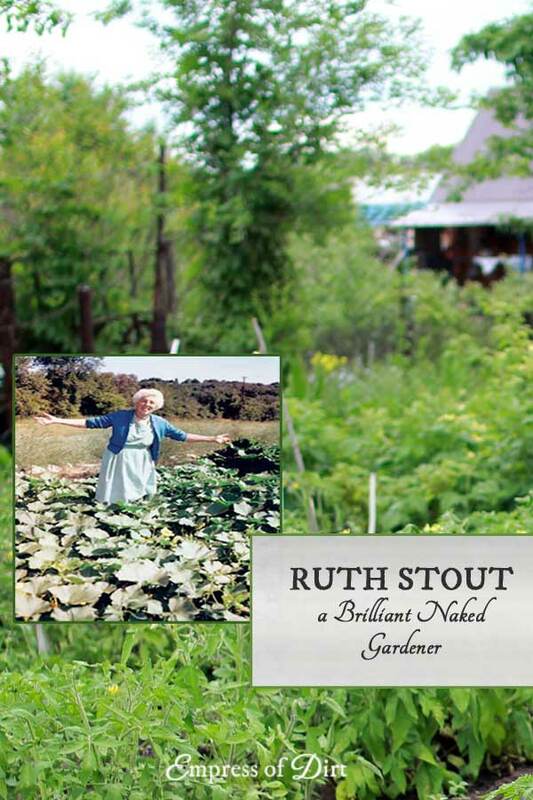 Ruth was a thinking gardener. 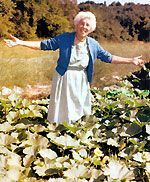 She began growing food when she and her husband moved to a country property in Connecticut in the 1930’s. She began with conventional gardening methods and gradually built on successes which led to her unique approach. I list that last one for the fun story she tells about it in the film but also to emphasize her philosophy of live and let live. She was a revolutionary well ahead of her time. The word ‘eccentric’ also pops up a lot in biographies but I’m loathed to include it since strong women in history are constantly knocked down with judgements like that. Brilliant is a much more accurate choice of words. In recent years, this classic book by Ruth has been republished. I read an original copy years ago but have not yet read this one. Great to see her legacy continuing! A Rare Video Tour of Tasha Tudor’s Garden | My first garden influence! An Urban Veggie Grower in 1889 | Who knew? I heard about Ruth and her method, read her book, and decided to give it a try. I was having disease and pest problems, hard/dry soil, and my veggies weren’t doing very well. It doesn’t help that I have rabbits, squirrels, and chipmunks to deal with, either! Since I started mulching, my garden’s been doing better, although the yield still leaves a lot to be desired. I look forward to seeing how the soil and plants hopefully continue to improve year by year. I enjoyed seeing the video of Ruth so much and am grateful to you for posting it. What an amazing lady she was! Someone you wish to have had as a friend. I also enjoy your newsletter and am looking forward to another season in the garden. Happy growing! This has to be one of the most moving and beautiful vicious ever. What a lady. 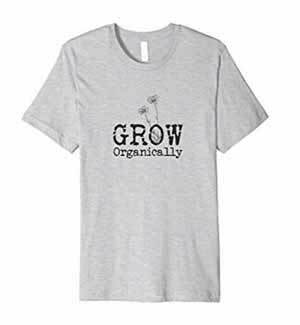 I was just surfing the internet for gardening ideas tonight when I found your site. Such a cool lady. One of my garden heroes is Helen Nearing. What an amazing woman..what an amazing life..Thank you for sharing this! Thank you for sharing this during Women’s History Month! It’s nice to hear of someone who charted her own path. I didn’t think I would really watch the whole video- but found that it was over way too soon and I was sorry for it to end! Thank you for sharing this gem.What a wonderful lady. I want to learn more about her gardening and her. She was wonderful indeed. I think there’s actually more parts to the video but that’s the only one I could find on YouTube right now. what an interesting woman. her philosophy of life comes across as both generous and compassionate to the human spirit. My father was a naked farmer. My mother found this a great burden. Funny about your dad. Some do find clothing a burden. What a wonderful lady! Sort of like my mother. Thanks for posting this! Thanks for sharing this. It was wonderful! She was a delightful spirit. LOVE Ruth Stout! She was really ‘visionary’ in how to get good food with a less ‘involved’ method of gardening. She certainly did show how simple it can be if we choose to do so! Thanks for sharing Ruth’s story, I really enjoyed it.